Spring Special: Sign up with a friend before April 30th & you both get 50% off your first 3-month membership! Contact us to schedule your first trial class. 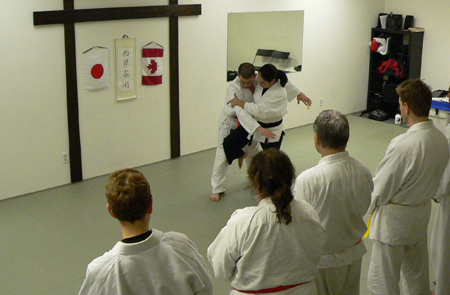 Are you looking for practical martial arts training for self-defense in a friendly atmosphere? Or maybe you just want a fun way to keep fit, learning useful skills for you or your kids? Well, that's what our Jiu-jitsu/self-defense programs in Vancouver/Richmond, BC are all about. Check out our jiu-jitsu demo video. At our dojo, a 2014 'Best of Richmond' pick in the Richmond Review, we teach Can-Ryu Jiu-jitsu concepts that work around differences in size & strength to defend against strikes, body grabs, ground attacks & weapons, using a combination of strikes, kicks & blocks in our Women's Self-Defense classes, with the addition of throws/takedowns, improvised weapons, joint locks (adults only), etc, in our Jiu-jitsu classes. 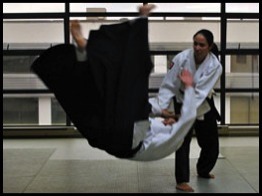 Can-ryu is a modern Canadian adaption of Japanese Jiu-jitsu that works for people of all sizes & abilities. 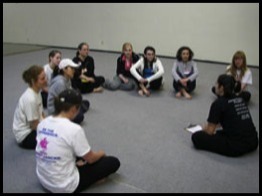 We emphasize applying self-defense skills in accordance with Canadian laws. 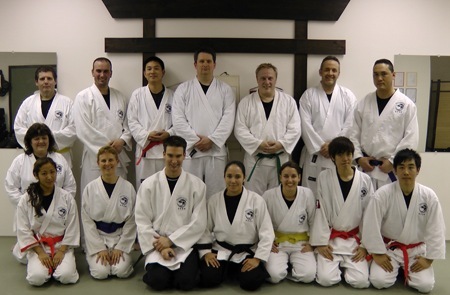 Our Adult Can-ryu Jiu-jitsu classes offer our most complete self-defense program in a more traditional martial arts training atmosphere. These progressive programs start by teaching you the most important fundamentals for self-defense then build on them, introducing more advanced techniques as you progress. 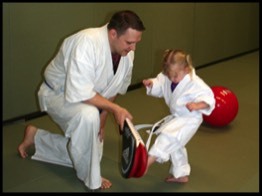 This age-specific program is designed for pre-school/kindergarten aged children, teaching foundational movement skills through martial arts exercises to help your child develop physically and mentally. We provide a fun, safe and positive learning environment in which your child will develop confidence, focus, and self-esteem, while learning core physical skills. Our 3-hour Self-Defense for Busy Women class teaches personal safety and awareness skills, as well as simple physical defense tools and concepts that anyone can learn and master quickly. We teach avoidance and de-escalation strategies as the first line of defense, combined with physical techniques that are easy to learn and apply even in the high stress context of an attack. We're proud to announce that Lori O'Connell Sensei's new book, When the Fight Goes to the Ground: Jiu-jitsu Strategies & Tactics for Self-Defense, published through international martial arts publisher Tuttle Publishing, is now available in major book stores and online. Learn more about the book & where to buy it. 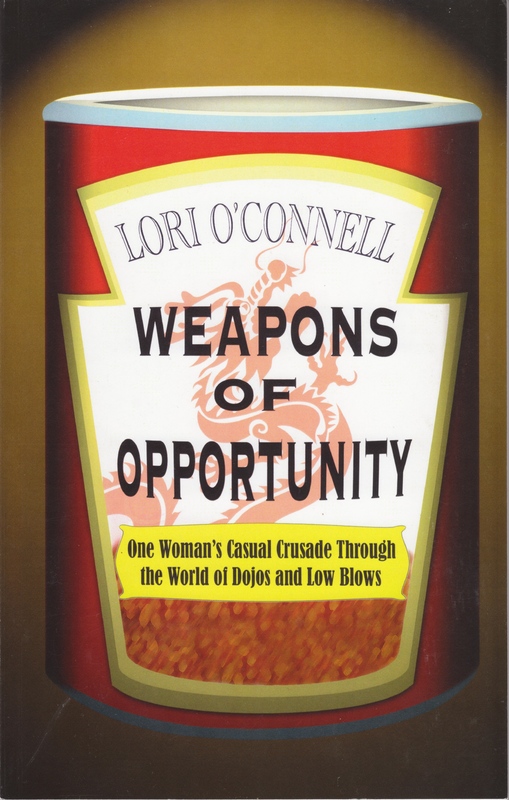 We're very happy to announce that Lori O'Connell Sensei's first book, Weapons of Opportunity is finally available as an E-Book. A self-published biopic on her the trials and tribulations faced by woman in the martial arts, the book has been sold out in print for several years. A long time in the coming, Weapons of Opportunity is available in ePub format from our own store, or internationally via Amazon.